It seems like an eternity has passed since I last picked up a mermaid book! I decided to read this because I thought it would be a fun, romantic novel to enjoy in the summertime. And that’s exactly what I got! The relationship between Emma and Galen is phenomenal. Not only is it fantastically romantic and sweet, but they have their ups and downs as well. Now, I’m not saying that it is completely realistic (because I definitely don’t think it is), but this is where I think the reader needs to have a little bit of perspective. Half of these characters aren’t even humans- they’re Syrena, which are basically mermaids! Emma and Galen’s relationship isn’t going to move at a realistic pace or take the form of a real life relationship because the circumstances they are in are TOTALLY DIFFERENT from real life. Once you get past that, their relationship is pretty much golden. The chapters in this novel alternate between Emma and Galen as far as perspective goes. I think that the voice of Emma is incredibly well done. She has such a distinct, playful, spunky tone that I feel as though I would know she was speaking even if it didn’t say so. Her chapters are written from a first-person perspective, which really brings out her personality and allows it to shine. With that being said, I thought that Galen’s chapters were really lacking in this regard. For some reason the author decided to switch to a third-person perspective for Galen’s chapters, which threw me off at times. The transition was always just really odd to make, and I spent more time trying to figure out why the author decided to do that than anything else. Galen’s chapters seemed lifeless when compared to Emma’s. The story itself was unique, enthralling, and definitely suspenseful. Sometimes romantic novels, especially in the YA genre, tend to lack a lot of action and fast-paced scenes. However, I thought that the author did a great job at balancing the cute moments with the more serious ones. There were plenty of twists and turns along the way, and my predictions for the ending proved to be completely wrong. The book ends with a major cliff-hanger, which I have some mixed feelings about. On one hand, I like it because it makes me want to dive right in to the second book in this trilogy. On the other hand, it just seems really abrupt to me. Vagueness in endings is good in small, wise doses- there should be enough answers to satisfy the tip of the reader’s curiosity, and enough openness to allow the reader to interpret the ending however he or she desires. The ending of this book left me feeling like I was holding onto the branch of a tall tree for dear life, hoping and praying that I wouldn’t plummet to the ground. Overall, I did really enjoy this book. It sucked me in and kept me interested the entire way through, and I’m super excited to continue on with this series. Even if you don’t normally read fantasy books, I definitely recommend giving this one a try. Would I recommend it to a friend? : Yup! I would recommend it to readers of both YA contemporary fiction and fantasy. It has enough elements of both that it could really fall into either category. And don’t let the mermaid element fool you! It’s worked really well into the story and doesn’t seem out-of-place at all. Have you ever read this book? What did you think of it? 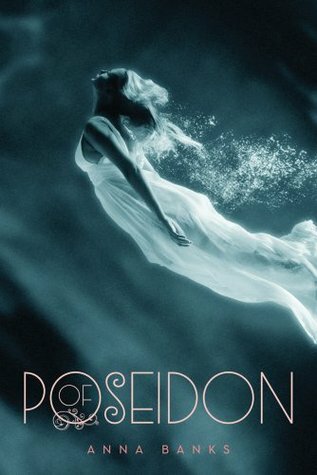 Are there any other mermaid books that you would recommend? Let me know in the comments section below!